Abracadabra! 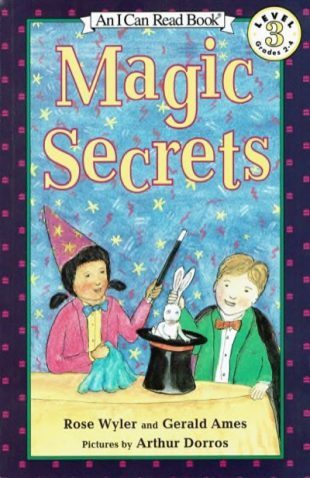 Pull a rabbit from a hat, stand an egg on its end, make a penny disappear, or become ‘magnetic.’ Learn fun, simple magic tricks, even for beginners, in this “I Can Read Book.” Watch closely, and the next magician to perform will be you! When I first received and read the writing that had been done for this book, I knew I would have to try the tricks in order to visualize how I wanted to draw them. I was intrigued to find out how to make coins appear and disappear, how a pencil could look like it was bending, and then to find that I could actually do these tricks. I was no magician, though I had once been able to make a cascade of pennies plunk into a pail at a birthday party, a trick I had seen my father perform when I was four or five years old. Working on this book gave me a few new tricks up my sleeve.